Care For Smiles. A small, modern, independent family dental clinic, located in the Melbourne suburb of Fairfield, where dentistry is practiced by friendly female dentists in a caring, gentle atmosphere. We provide comprehensive and affordable family and cosmetic dental care to the Fairfield, Thornbury, Alphington, Northcote and near communities. 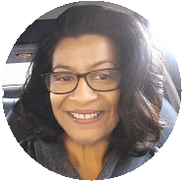 Dr Priti Rosemary Phillipos, a local resident, and the Care For Smiles Team take pride in offering the best family and cosmetic dental care in a relaxed, friendly, non-clinical environment. We are a small, independent, owner-operated dental practice without the corporate overheads of larger practices. Instead, we take the time to get to know our patients and to understand their individual needs and dental care requirements. We show how to improve and maintain excellent oral health, prevent dental decay and gum problems, and to have a smile that looks and feels great. To fit busy schedules, we offer evening appointments on Tuesdays and Thursdays and are also open on Saturday mornings. Call (03) 9482 1100 for an appointment or Book On-Line. New dental patients and families of all ages are welcome. Emergency dental patients can usually be accommodated on the same or following day but please call to confirm the availability of a dentist. 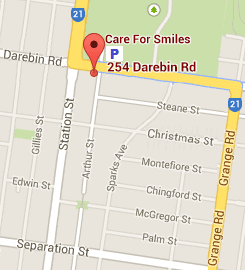 The Care For Smiles Dental Clinic is located at 254 Darebin Road, Fairfield, 7km north east of the Melboune CBD. The dental clinic is close to public transport (bus, train) with on-site bicycle racks and car parking (including disabled parking). Enter via Arthur Street. The dental clinic is fully wheelchair and pram accessible (no steps). Click for Google Map. Dental appointments can be made by phone (03) 9482 1100, email info@careforsmiles.com.au or Book On-Line. Note: Only a limited number of appointment times are available on-line. We will send an appointment reminder by SMS, email or phone 24 hours prior to your appointment. New dental patients will be required to fill in a New Patient Form. For your convenience, you can download and fill the New Patient Form prior to your appointment. Our dentist will explain your treatment needs, the options available and fees, and answer any questions you may have. Where additional treatment is required, a treatment plan will be provided. Payment is required on the day of treatment. Care For Smiles accepts cash, EFTPOS, debit and credit cards including American Express, Mastercard and Visa. No fee is charged for credit card use. Private health insurance claims are processed on the spot using HICAPS. Care For Smiles is a Preferred Provider for the HCF More For Teeth and CBHS Choice Network dental programs. HCF and CBHS Health Fund members are fully covered for annual check-ups, cleans, x-rays, mouthguards and more (subject to annual limits). 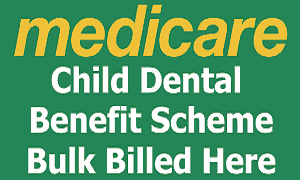 Care For Smiles bulk bills Medicare for eligible children under the Child Dental Benefits Schedule (CDBS) and for eligible Department of Veterans Affairs (DVA) Card Holders. Last modified 08 January 2019. 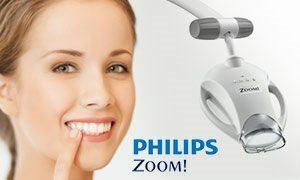 Copyright (C) 2012-2018 Care For Smiles / Phillipos Dental Services. All Rights Reserved.